To claim this profile, please confirm you are Cecilia Reyes. To follow this profile, please let us know your relationship to Cecilia Reyes. RESULTLoss Girls varsity basketball @ Jordan. The Dymally varsity basketball team lost Friday's away conference game against Jordan (Los Angeles, CA) by a score of 35-15. Cecilia was selected the Player of the Game in the basketball game against Harbor Teacher on Wed, Jan 30 2019. Congratulations to #13 Cecilia Reyes for being selected the Dymally Girls Basketball Player of the Game. Cecilia's basketball stats have been updated for the loss @ Harbor Teacher. The Dymally varsity basketball team lost Wednesday's away conference game against Harbor Teacher (Wilmington, CA) by a score of 85-12. Cecilia's basketball stats have been updated for the loss vs. Port of Los Angeles. RESULTLoss Girls varsity basketball vs. Port of Los Angeles. The Dymally varsity basketball team lost Friday's home conference game against Port of Los Angeles (San Pedro, CA) by a score of 41-24. RESULTLoss Girls varsity basketball vs. Harbor Teacher. The Dymally varsity basketball team lost Friday's home conference game against Harbor Teacher (Wilmington, CA) by a score of 66-3. Cecilia's basketball stats have been updated for the loss @ Port of Los Angeles. RESULTLoss Girls varsity basketball @ Port of Los Angeles. The Dymally varsity basketball team lost Wednesday's away conference game against Port of Los Angeles (San Pedro, CA) by a score of 44-11. Cecilia's basketball stats have been updated for the loss @ King/Drew. The Dymally varsity basketball team lost Friday's away conference game against King/Drew (Los Angeles, CA) by a score of 63-12. Cecilia was selected the Player of the Game in the basketball game against George Washington Prep on Wed, Dec 05 2018. Cecilia's basketball stats have been updated for the loss @ George Washington Prep. RESULTLoss Girls varsity basketball @ GWP. The Dymally varsity basketball team lost Wednesday's away conference game against George Washington Prep (Los Angeles, CA) by a score of 97-12. Cecilia was selected the Player of the Game in the basketball game against University Pathways Medical Magnet on Mon, Dec 03 2018. Cecilia's basketball stats have been updated for the loss vs. University Pathways Medical Magnet. RESULTLoss Girls varsity basketball vs. UPMM. The Dymally varsity basketball team lost Monday's home non-conference game against University Pathways Medical Magnet (Los Angeles, CA) by a score of 54-11. 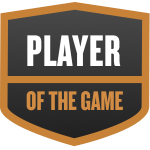 Cecilia was selected the Player of the Game in the basketball game against Hawkins on Wed, Nov 28 2018. Cecilia's basketball stats have been updated for the loss @ Hawkins.